We love 3D printing here at Hypertext, which is why we bring you the 3D Print of the Day series where, every week day, we feature an amazing new print from the maker community. While every print requires modelling knowledge, the filament to make the print, sandpaper to smooth it out and paint if you want to finish it, none of that happens without a 3D printer. While you can now buy 3D printers in some brick and mortar stores here in South Africa, they usually come at a premium, so it helps to look further afield for better options. That’s where Gearbest comes in. This overseas online retailer ships to South Africa and offers products that we simply don’t get in the country, products at lower prices, or both. The Alfawise EX8 Upgraded DIY 3D Printer, as the name suggests, it’s a hobbyist printer that requires assembly out of the box. While that may sound like a hassle, the kit is easy to assemble and a necessary part of the hobby. Knowing how your printer goes together is imperative for printing later, as all 3D printers eventually run into hiccups you need to diagnose. The experience you can gain putting your printer together will help you in this stage, and later on as you can then make upgrades and changes as you see fit, as you get hands-on with the hardware. The do it yourself name is right there in the title. With the EX8 assembled you have a detailed LCD screen with a 35 degree viewing angle, which is great to check on things in the middle of the night when you’ve left a long print to finish. Of particular interest to local makers is the outage protection to prevent restarting a print from scratch – very useful if Eskom decides to begin loadshedding again. The power supply also works in many different countries, so you can keep your printer should you immigrate. The 22 X 22 X 24 centimetre build volume allows you to print large models, and the upgraded main board ensures that they are precise and detailed. 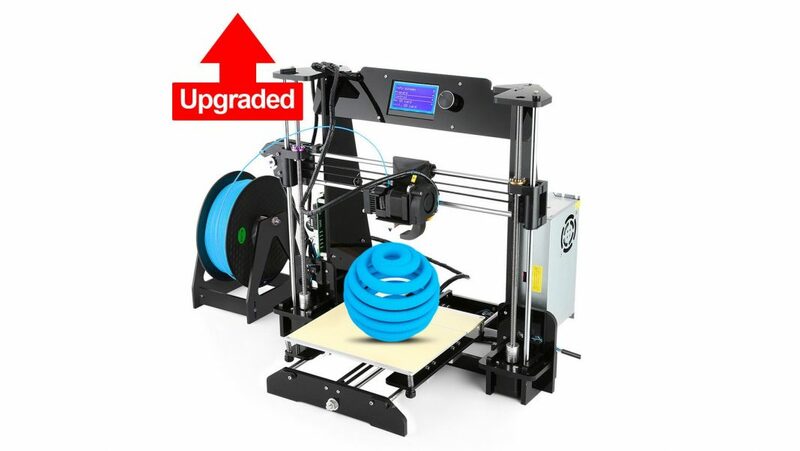 If you’d like to get an Alfawise EX8 Upgraded DIY 3D Printer, they are currently on sale for $145.99. To make shipping to South Africa easier and cheaper, the packaging is designed to be as small as possible. This is yet another benefit of the DIY printers as assembled units would require much larger boxes which drive up the cost of delivery. Make sure to check out the product page for more information and user reviews from fellow maker enthusiasts.